When the sun sets, the imagination runs wild as the night comes alive with supernatural creatures and beasts of mythical proportions. 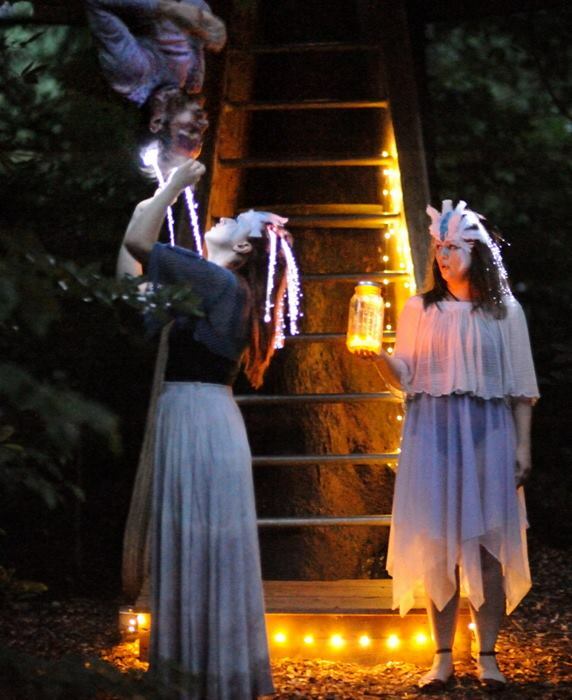 Nightfall was commissioned by the Tyler Arboretum through the Pew Center for Arts and Heritage’s“No Idea Too Ridiculous” grant. This physical theater performance gave guests an exciting evening of magic, mystery, and haunting music within the arboretum’s historic grounds.